The Edison Mission Group has become a major force in wind energy in the U.S., with 30 projects in operation or under construction in 10 states. Among the most recent additions to the company's portfolio is the 81 MW Laredo Ridge project, the company's second wind project in wind-rich Nebraska. 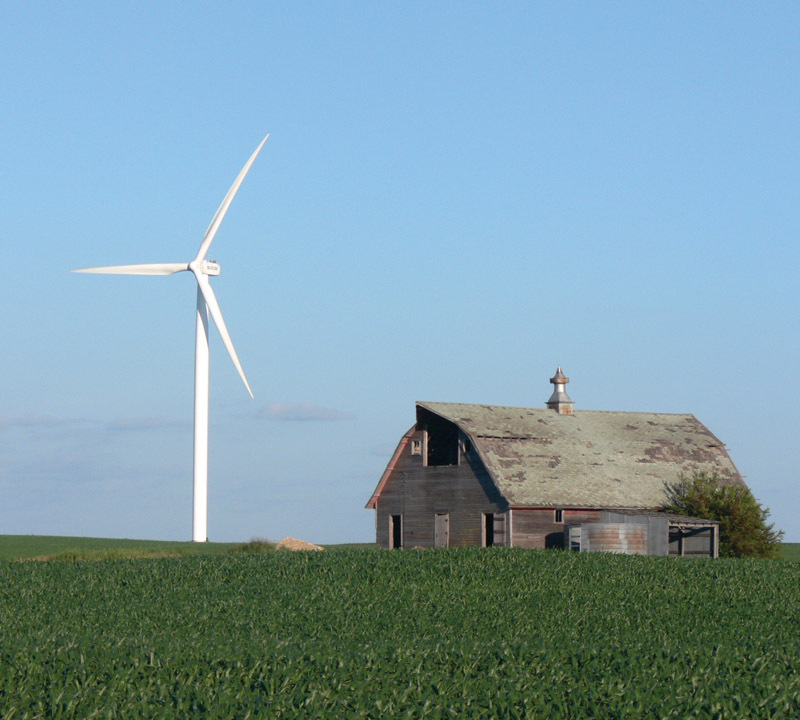 There's no doubt that the State of Nebraska could have a bright future in wind power. According to the National Renewable Energy Laboratory (NREL), Nebraska ranks sixth among all U.S. states in terms of wind power potential. The political interest and willpower appear to be there, as well. "Nebraska is on the move in wind energy development," said Governor Dave Heineman at a wind project groundbreaking ceremony this past summer. "I fully expect Nebraska to be a Top 10 wind energy producing state within the next 10 years." The groundbreaking ceremony was for the latest addition to the state's wind power base, the 81 MW Laredo Ridge project, built in the northeastern part of the state, near the community of Petersburg. The $200 million project was developed by Midwest Wind Energy, LLC of Chicago and is owned and operated by Laredo Ridge Wind, LLC, an affiliate of Edison Mission Group (EMG) of Irvine, California. All of the electricity produced at the site is being sold under a 20-year contract to the Nebraska Public Power District (NPPD). NPPD has established a goal to meet 10 percent of its customers' energy needs with renewable energy by 2020. Eric Luesebrink, a director of development for the Edison Mission Group, oversaw the project. He explained that the company's involvement with Laredo Ridge dates back to 2006 and a joint venture they entered into with Midwest Wind Energy. EMG was already working with Midwest Wind Energy on another Nebraska wind farm, the 81 MW Elk Horn wind project, also in the northeastern part of the state. "One of the areas where we have been developing projects with Midwest is Nebraska, and Laredo Ridge was our second project in the state." It proceeded in a fairly linear fashion, he says. "We secured a Power Purchase Agreement with NPPD, carried out an assessment of the wind resource, completed the development work and leasing of the land, secured interconnection over the next two years, and commenced construction on the site in 2010." Luesebrink noted there is a good wind resource in this area of Nebraska. Laredo Ridge is located in Boone County, about three miles northeast of Petersburg, on the leading edge of one of the premier wind resource sites in the state. There is also a suitable interconnect for the 81 MW project. "As with many areas of the Midwest these days, interconnect can be a challenge—we identified this area as being attractive from an interconnect perspective, though." Luesebrink added that they have a cooperative relationship with the farming community, where the project is sited. The physical footprint of the components that make up the Laredo Ridge project is actually quite small, even though the total site is 7600 acres. The foundations for the turbines and the roads connecting the turbines take up only a small amount of that acreage. Most of the land is agricultural and is crop land. This being Nebraska, the site itself is not extremely high elevation—but the elevation is there. "It's not ridgeline," explains Luesebrink. "It's not dissimilar to much of the Midwest—there is a little bit of topography and some rolling hills. The raised elevation is a key feature, though, because that high elevation is typically what will drive the stronger winds. That aspect of the site made it easier to identify as a promising area. After installing some met towers, we were able to confirm our expectations." As with all of the EMG wind power projects, a series of environmental studies followed. "We look at all of the aspects of a single project, and we'll go through all the stages to determine at a high level if there is a potential impact. Then we'll drill down as necessary in specific areas on a project to assess issues and, if necessary, work to implement mitigation efforts during construction and operation." So to some degree, the type of studies carried out are site specific—they might involve avian studies or bat studies. "There might be other species that might be sensitive in an area, including snakes—or it might involve flowers, with sensitive habitat for flora and fauna," said Luesebrink. The type of studies can vary greatly from project to project. "With Laredo, we did pre-construction studies and will be undertaking operational studies, as well. From the work we've done, though, we don't anticipate any significant issues." Luesebrink said they had good cooperation from the state agencies and county governments with the project. "Things went pretty smoothly with the necessary approvals." Construction of Laredo Ridge went relatively smoothly as well, he reports. "The construction team did a very good job of building Laredo." They carried out the construction work over the mid to latter-half of 2010. "It's not necessarily specific to Laredo, but when you build projects in Nebraska and a lot of areas in the Midwest, you are faced with an abbreviated construction season because of winter weather." They started construction in the summer so as not to disturb local habitat, in this case the Prairie Chicken. Another constraining factor in Nebraska is that you tend to get higher wind speeds in the October/November time frame—in the case of Laredo Ridge, around the time when they were erecting the turbine components, including lifting blades into place. "It can lengthen the construction period for a wind project at the back end," says Luesebrink. "But the team worked very hard to ensure we had all 54 turbines installed by the end of the year." The Laredo Ridge project is powered by 54 GE 1.5 MW turbines, with a total project size of 81 MW. This falls into the size range for many Edison Mission Group wind projects. "Our largest project is the 240 MW Big Sky project in Ohio, made up of 114 turbines, but we don't have any other projects approaching that size," says Luesebrink. "Our typical range for projects is from 80 MW up to about 140 MW. Even though we don't necessarily have restrictions on the upper end, as a practical matter 150 to 200 MW is about the upper range of most projects. There are exceptions, of course. But there are practical restrictions—they can range from insufficient interconnect and capacity on the transmission lines, sufficient land availability with a good wind resource, and offtake demand for power. Utilities such as Nebraska Public Power don't necessarily have demand for multiple hundreds of megawatts from a single project in any one area." At the other end of the project size spectrum, there are companies that do projects that come in at around 50 or 60 MW or even 20 or 30 MW. But it's difficult for EMG to achieve economies of scale with the smaller projects, says Luesebrink. "At 50 MW, you're still looking at a project that is going to be in a range of $60 to $100 million, and you are starting to get some economies of scale. It's not the same economies of scale you'd get with 150 MW, but I think it's manageable. At the lower end, when you get down to the 20 to 30 MW range, the economies of scale make it very difficult for us to justify—it makes the project a bit too expensive." Along with other major players in power plant development, Edison Mission Group faces challenges, such as the need for increased power transmission capacity in the U.S. But the company is continuing to move forward. They have already started work on another Nebraska wind project—the 80 MW Broken Bow wind farm. 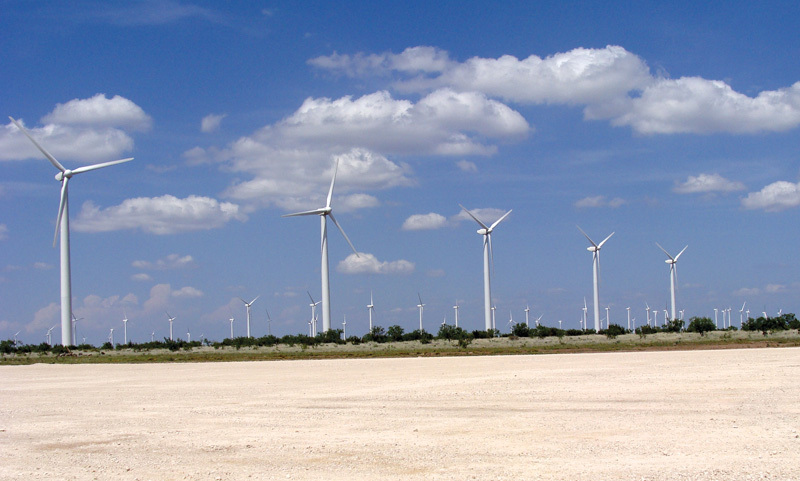 Laredo Ridge is just the latest project EMG has done with Midwest Wind Energy. Midwest Wind has been a very strong partner, and they do an excellent job in siting projects, says Luesebrink. "They bring a lot of skill and expertise to the table through much of the life cycle of a project, identifying a site and project, securing the necessary land rights, and from permitting right through to interconnect." He added that EMG works with a number of development partners, each of which can bring different skillsets to a project. "Not all of the development partners have the ability to address all the areas of expertise that are required in wind development," he says. "You can have smaller partners that are really just focused on securing land and measuring the wind, and in other cases, development entities that don't have the relationship with power offtakers that we have. "We look for capable and strong partners in general, but we don't always require that they need skills in all of the different areas of expertise. At EMG, we have a fairly deep team so we can plug in and help create an effective approach on a project. We work closely with our partners to make these projects successful." Their overall goal, he explained, is to develop, construct, and operate a project and there are typically many ways of doing that. "One of the constants, though, is we strive for excellence, and we require that the projects be done in a safe manner—safety is one of our core values." Luesebrink explained that Edison Mission Group has its own general approach to wind power project development. "From a broad level, and consistent with this project but not universal, we have tended to identify regions and then worked through partnerships either on a specific project or on a portfolio of projects, in partnerships with developers." EMG's participation can either be from the inception of the project where they are working to identify promising projects, to early stage development—or even entering into a project at a very late stage and completing the development and inspecting and operating the project. "Our goal, ultimately, is to construct, own, and operate projects for the long term." Luesebrink has been with EMG for 11 years and has worked on mostly wind power projects in that time. In reviewing projects, and whether to green light the company's involvement with them, he looks for a solid foundation. "And I don't mean that in a construction sense. You can look at a project as a five legged stool. You have to have: a good wind resource; environmental permitting; you need to have the right transmission and sufficient transmission; you need to be able to address land issues (that is being able to access sufficient land and making sure the topography is sufficient to construct the project); and you have to have the right customer to sell the power to. "Often times, you can have four out of the five aspects of the project. But unless you have each aspect of the project squared away, you are likely to run into problems long term." Along with other major players in power plant development—both renewable and fossil fuel—Edison Mission Group faces challenges going forward, such as the need for increased power transmission capacity in the U.S. and the lack of a long term energy policy at the federal level. But Luesebrink says the industry will continue to move forward and overcome obstacles along the way. "There are always going to be challenges—three years ago, when the industry was robust and growing rapidly, wind turbines weren't as available as we would have liked. Our job is to overcome challenges. "But generally speaking, in the Midwest, in states such as Nebraska, transmission is certainly a critical aspect for the long term build-out of projects. And demand is important. Both of these fundamentally play into what needs to be addressed by a comprehensive long term energy policy, which would really be a necessity for the industry to continue to expand. A broader energy policy would help go a long way towards addressing some of the issues. "Maybe it would not move the needle tremendously one way or the other, but certainly for the long term growth of the industry, it would be helpful to have consistent energy policy." In the meantime, EMG will carry on with wind projects. With Midwest Wind Energy, they have already started work on another Nebraska wind project—the 80 MW Broken Bow wind farm, which is expected to be completed in 2012. As with Laredo Ridge, they have a PPA with Nebraska Public Power District.